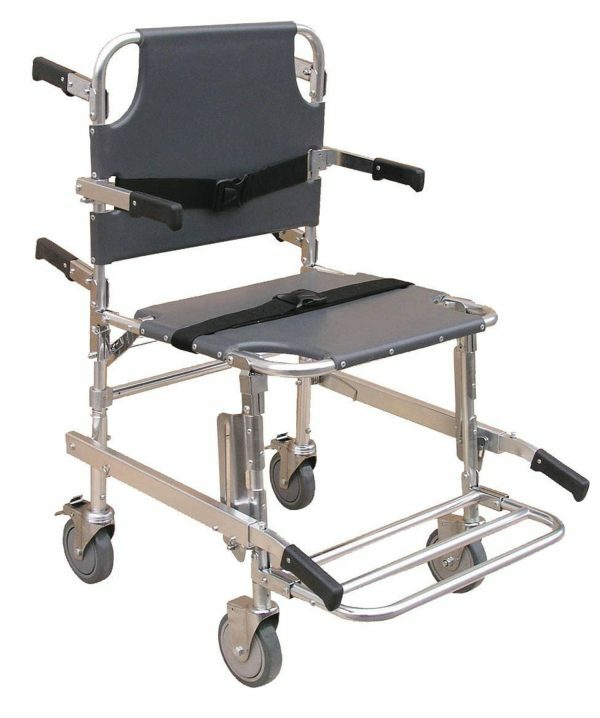 Compact foldable Stair Chair ideal for patient evacuation emergencies from multi-story buildings where stairways are present. Aluminium frame with hard plastic seat and back that is impervious to bodily fluids and very easily wiped clean. Extra large heavy duty locked straight castors for streamlining patient transport along flat surfaces. 4 carry handles for ease of use.